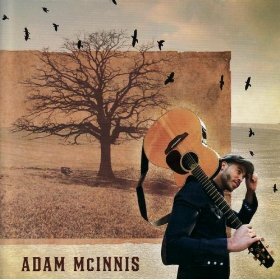 Born in Manhattan, Adam McInnis grew up the son of a Scottish/African American/American Indian father who was an evangelist and Russian mother who was classically trained as a folk and opera singer. As a child, the New York troubadour listened to everything from Greenwich Village folk to Motor City Motown, as well as a healthy dose of '70s art rock—all channeled into a unique sound that McInnis calls "alternative rock meets singer/songwriter soul." Tragedy struck Adam's life early though when his father died, and with him being the only son he had to take over the reigns of being the man of the house at the young age of 15. Something like that could have made Adam lose his faith and become bitter about life, which it did for several years until at 20 he found his faith again. Maybe it's that struggle that makes his music so passionate and honest. When asked about his music Adam says, "A lot of what comes through is hope" he continued, "I talk about real life with all its ups and downs, but I believe new doors will open if you have hope." His first major break came when winning Joe Simpson's Score songwriting competition, followed by a brief stint on the television show The One: Making a Music Star, beating out 30,000 other up-and-comers. Adam released his full-length debut album, Wherever You Are, in September of 2008. Produced by Will Hoffman and Dwight Baker, it features epic poetry set to the energy of '70s rock, the passion of Motor City soul and the conviction of golden age gospel. There are touches of vintage Greenwich Village folk, Piano Man-powered ivory keys and Stones-style dramatic choruses. Self-described as "alternative rock meets singer-songwriter soul," this faith-filled singer ties it all together with a genuine message of hope. A lot of what comes through is hope," explains McInnis, who mastered his storytelling style as a script writing major in college. "I talk about real life with all its ups and downs, but I believe new doors will open if you have hope." The album's 12 tracks cover a lot of territory – from the amped-up rock of "Take These Wings" to the somber piano ballad "Forever Love" – yet it all fits together as a true perfect dozen. The title track, written in a flush of inspiration following a moment of prayer, epitomizes this hope as a spiritual love song set to acoustic guitars, harmonies and loads of melodic energy. "Say a Little Prayer" fires up the Hammond organ for a soulful anthem that would make Stevie Wonder proud. The album closes with "I'm the One," a Phil Collins- and Genesis-channeling dance-floor love song narrated from the perspective of the Creator. “When you honestly put all of your emotions and feelings and experiences into the songs, it becomes something real," says McInnis. 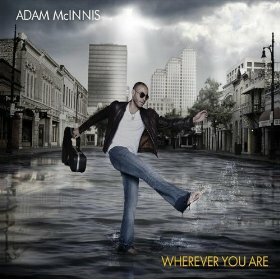 And that's exactly what Adam McInnis did with Wherever You Are, an adventurous debut whose scope runs as deep as it does wide.